Stiga have an extensive range of lawnmowers which help turn your grass into a perfectly cut lawn with lush green grass. The Stiga collector and combi ranges are ideal for smaller gardens. The Stiga turbo model is extremely efficient and durable. 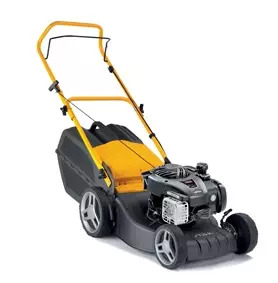 The Stiga multiclip models are very clever as they cut the grass clippings into fine pieces which fall to the ground feeding the lawn with lots of nutrients necessary for producing a healthy and vibrant lawn.